I did say that I’d get around to doing this and have decided to do mini recaps of the final episodes. Go me 😛 If I don’t do this now, then I’ll probably NEVER do it, so please bear with me as I take a slight break from the currently airing dramas I should be doing instead. For those of you unfamiliar with the drama on a whole, the main focus of each episode is the reinvestigation of the whatever cold case and finally laying the demons to rest and catching the bad guys at long last. A strong focus also is in the pain, wounds, and scars from these unsolved cases on the families and the police who were unable to solve them. You also get to see some police in-fighting when current investigations clash with the re-opened investigations by the current team. When a boy discovers a woman’s body, this reopens a case of serial murders that went unsolved for several years. Sakuragi (Ueto Aya) does as she usually does—she contributes in the only way she can which is her basically going through the last moments of the characters and figure out what happened in the final moments before their untimely demise. Doing this for the new murders, Sakuragi discovers that these unconnected women really did have a connection after all. They were all in the same park days prior to their death. This leads the team to a golf course where the find the murderer. Only things aren’t that simple. The murderer is really an abused son being forced to carry on the murders his crippled father is no longer able to do. This episode really shows how these unsolved cases can rip families apart and shows just how thankful they are when the criminal is caught as all the families arrive at the cold case office to personally bow and thank the officers for solving the crime at long last. This case solves Fukuzawa’s (Maruyama Tomomi—Nogi in Rich Man, Poor Woman) wound. It was one of his first cases he ever worked on and he was happy to see it finally solved. This episode opens with four friends in an astronomy club and fast forwards to the present day when a box of bones is delivered to the cold case office. The skeleton is the kids’ teacher who went missing at the end of July several years ago. This episode really pursues friendship. Sakuragi’s class reunion is approaching, but she spends so much of her life sleeping in the office and researching cases, that she just cannot go. This really makes Sakuragi wish to believe that the four people, adults now, are not strangers to each other. As it turns out, the three boys really aren’t strangers. Sure, they haven’t talked in years, but they hide the fact that the really do treasure those memories. When one of the boys tries to kill himself over guilt, the other two finally break down and beg the police to save him. As it turns out, the suicidal man was the real murderer and the other two helped cover up the crime in order to save the lone female student. What triggered the man’s suicide attempt was that he learned the girl, now a popular news anchor, had lied about being attacked by the teacher. Sakuragi informs the girl of what happened and she refuses to bear any responsibility as people lie all of the time. Sakuragi cannot believe this attitude at all. But at least she got what she wished—proof that the friendship among the boys really did exist. 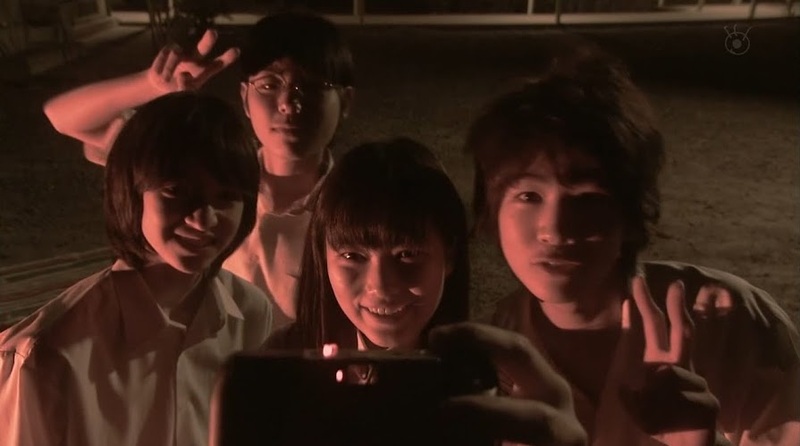 This leads her to call up her friend and meet her classmates at an after-reunion drinking party. These two episodes really showcase survivor’s guilt. It also dives in deeper to Tsukamoto’s [Miyasako Hiroyuki] reasons behind his hatred for unsolved cases (his mother was killed in a hit and run). This case is very personal for him as it runs parallel to his first case (which was solved). A rash of animal killings has started once again at school’s which breed rabbits. This one girl who is a loner, is thought to be the prime suspect as the first school where the killings happened was hers and she found the animals. As it turns out, this same high schooler was a student at an elementary school where a crazed man ran around stabbing people, killing several kids and adults—one of whom was her best friend. Our loner feels responsible since it was her fault the other girl was even at the festival the day of the incident as the other girl was helping deliver a love letter. Throughout this whole case Tsukamoto and Sakuragi are conflicted. Is the teenager really guilty? All evidence points to her and her actions are highly suspicious. But deep down, neither of the two really believe she is guilty. At the same time, the rest of the team have their own suspicions that the girl isn’t guilty as well and do their own investigations, too. It turns out the man behind the crimes is none other than the person in charge of going from school to school to check up on the health of the rabbits. He got the idea thanks to the murders which happened several years ago. He believes he’s better than the original killer because he only killed animals (to hurt the children) instead of killing the children. To help the loner move on and get over her guilt at accidentally leading her best friend to her death, Tsukamoto pretends to arrest her and even handcuffs her. Sakuragi then uncuffs her and tells her that her years of misery was punishment enough. The girl should now try to move on with her life. This episode surrounds the re-opened case of a murdered tech mogul [he’s kind of like Toru was at the beginning of Rich Man, Poor Woman with his holier than thou attitude]. Well, what happened was that this case was re-opened when new evidence was found and then went to trial. At the trial, Kurata’s [Sugimoto Tetta] investigation techniques are called into question and the team is sent back to reinvestigate. Integral to this episode is Sakuragi’s inability to empathize with the victim as he sounded downright horrible. However, as she slowly learns more and more about his life, she realizes how sad of a man he was. He started off with a dream and then was corrupted by power and money. When his life was in danger due to an illness, he began to turn his life around thanks to his correspondence with the little girl whose father saved his life by donating his organ. It turns out that the killer was really the killer. He has ties to a infamous yakuza organization that our mogul unfortunately got involved with. When the mogul tried to sever all ties and start his life fresh, he was murdered. 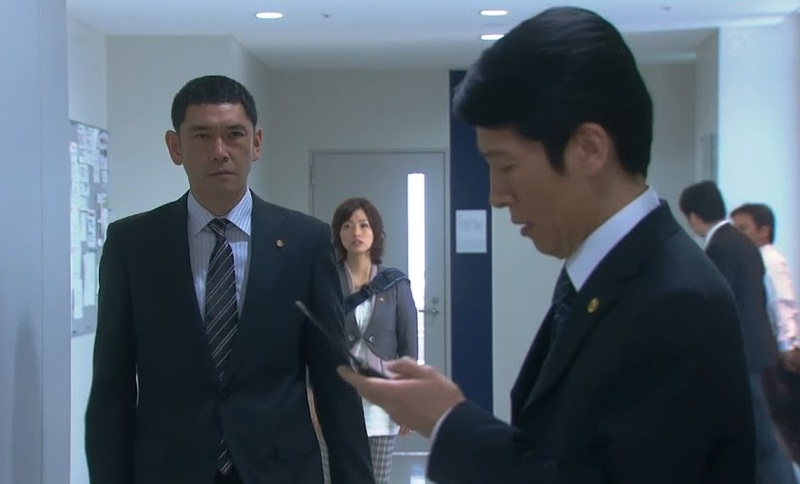 The yakuza lawyer informs his boss that the mogul’s right hand man betrayed them and Kurata vows that they will not let any crime go unpunished. 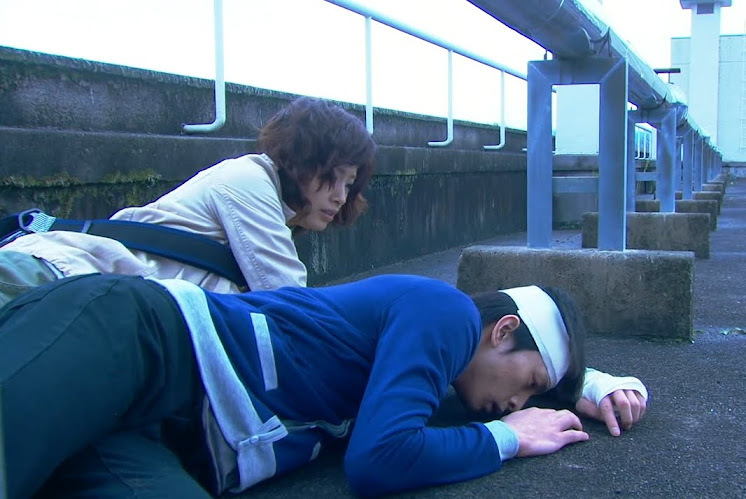 These two episodes deal with an unsolved case that is still a raw wound to both Nagashima [Kitaoji Takeo] and Takamine [Yamaguchi Sayaka]. Takamine blames herself for her profiling leading to the death of an innocent man she believed to be the prime suspect. 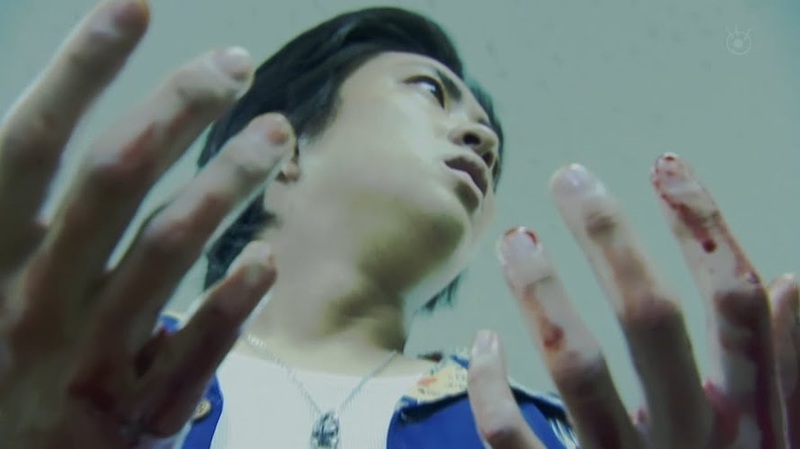 Nagashima bears the wound of not being able to save the kidnapped teenager. With the man’s death, the police want to officially close this case even though the team believes they don’t have the man behind it all as this is seen as an embarrassment. On her day off, Sakuragi goes investigating on her own to find the sunset picture that the teenager sent her mother before she died. She had promised her mother to tell her where it was located. Thus, Sakuragi wishes to find this place to at least ease some of the woman’s pain. Unfortunately, when Sakuragi finds the place, she finds a man who’s weird tic resembles that of what an accomplice had told them of [he was a scapegoat for the plan and never really knew what was going on]. She follows him and calls HQ only to be kidnapped herself. Now it’s a race against the clock to find her before the same thing happens. In order to do this, Fukuzawa challenges Takamine to get over her fear of profiling to help determine the killer’s next move. It turns out the killer’s only child died thanks to the teenager’s father cutting in line at the hospital. Seriously. Thus he was hell-bent on revenge. He never had any intention of letting the teenager go. This way that man could experience the same pain he felt. When the oxygen is almost gone from the room, Sakuragi takes the only tiny oxygen tank available and puts it on the killer so justice can be served. The team manage to find her before the time runs out. The final part of the Sugonomi case really highlights using the press to the polices’ advantage. This case reopens a murder only a year old of a genetic engineering professor. The most likely suspect in the murder was a bartender who was found standing over the body covered in the professor’s blood. Unfortunately, the bartender ran and fell down the stairs during the escape, dying. When a little boy finds a projector by the river, the police are brought in as the murder weapon was finally found. This means the suspect who died was exonerated as there was no way he could have thrown the murder weapon away when he was caught at the scene. Sakuragi develops a deep respect to one of the assistant professors in the lab. The professor is very friendly. She didn’t go to high school due to family reasons and worked hard to get her GED and go to college. Unfortunately, all evidence points to this girl as being the real killer—she even confesses! However, something again feels off for the entire team and they continue investigating. They learn the assistant is covering for another professor who is suffering from Alzheimers. She thought that he had killed the other professor when the other professor threatened to reveal his disease. She covers the murder up for the professor and then “modifies” his memories (he has to keep extensive notes and diary entries or he forgets everything thanks to the onset of the disease). She later learns that he killed the professor in order to spare her. When the deceased reveals he’s been blackmailing her and then threatens to have her pay with her body, Professor Alzheimers gets angry and kills him. This episode really focuses on the bonds between this professor and student. Even with his disease, he recalls just what a good person she is. It’s quite sad in the end. This is one of the cases where you actually feel bad for the murderer and his accomplice. The final case of the first season deals with reopened case of a murdered officer. It also explores the lengths someone will go to to protect their family. When the gun in the police case is found, a new investigation is started. 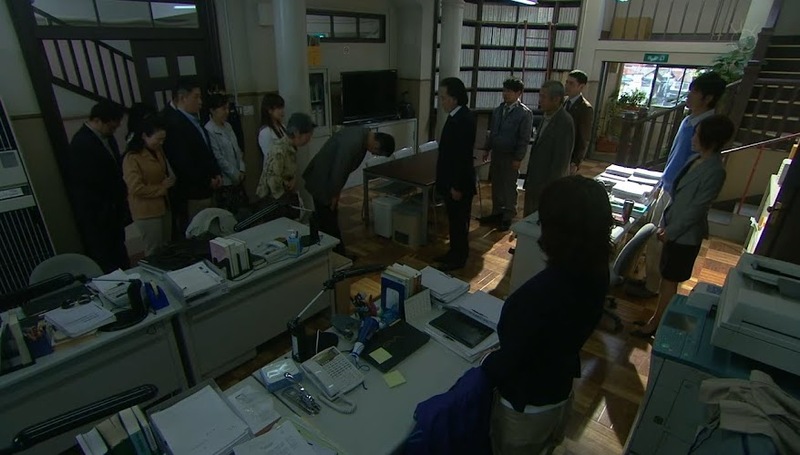 However, since the investigation revolves around the police, the team steps on toes and angers officers in the homicide department (which Tsukamoto might be transferring to). The suspected killer was a smalltime crook with connections to a yakuza organization. Sakuragi becomes deeply involved with the son of the police officer as she wishes to find the killer as the kid was just a newborn when his father died. As the investigation continues, Shiraishi (Nakahara Takeo) comes to odds with his good friend and even suspects him to be involved in the crime. As it turns out, the police office was not the one who died that day. The suspect was actually lured in by the police officer and his superior. The suspect was then killed and burned to make identifying the body hard. The DNA of the two men were then swapped. This allowed the police officer to fake his death so that his life insurance would be able to cover his son’s much needed surgery. The man then had plastic surgery done on his face and spent the next several years hovering and watching his son. Sakuragi arrests him and says that it is time that he pays for his crimes. Nagashima then asks for Sakuragi’s answer to his final test (throughout the whole series he gives her cases—most of which had already been solved, for homework to see how the criminal could be found) which was to answer the question what kind of detective she wishes to be. Sakuragi’s answer is that she doesn’t know yet. She still needs time to decide. Oh…and Tsukamoto decided not to transfer to homicide after all. Overall this was a good series. Ueto Aya is one of my favorite Japanese actresses, but I couldn’t help but feel that the setting was unrealistic at times. It’s kind of hard to put a finger on why, but it’s just a feeling I have. I did like how the moments when Nagashima is encouraging Sakuragi to do the investigation her way weren’t too preachy, but after hearing the same thing episode after episode, it did get old. I find cold cases fascinating, so it was really interesting to me. Adding to the overall atmosphere and feel of the series was the themes by LOVE PSYCHEDELICO. They really seemed to fit the mood and had a slight rock edge to them.